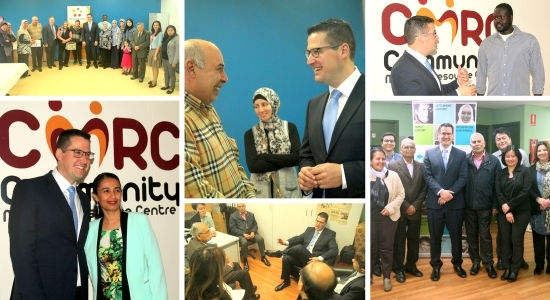 Twelve people of Iraqi and Syrian background supported by Core Community Services have participated in a seven-week cooking course with Jamie’s Ministry of Food at Wetherill Park. National Families Week in May was a time to celebrate with family, make contact with extended family and friends, and connect to activities within the wider community. 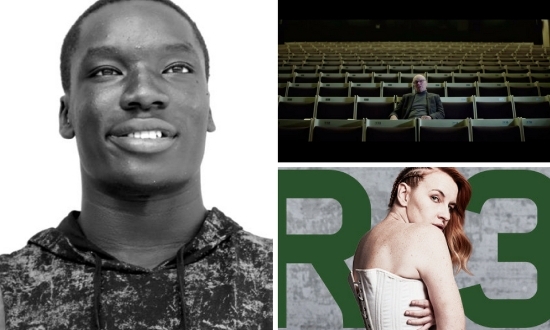 The following are events for Refugee Week – Sunday June 18 to Saturday June 24 2017 – organised by or in collaboration with members of the NSW Settlement Partnership. Maria-Elena Chidzey, Coordinator of Northern Beaches Multicultural Services, Manly Community Centre & Services, is so close to her Tibetan friends and clients that late last year they invited her to attend with them one of the most important events for the Tibetan community and Buddhist religion: the Kalachakra Initiation at Bodh Gaya, Bihar, in east India. With business suits from the likes of Yves Saint Laurent, Hugo Boss and Pierre Cardin you would be forgiven for thinking you were standing in a high-end store in downtown Sydney instead of an office premises located in suburban Bankstown. 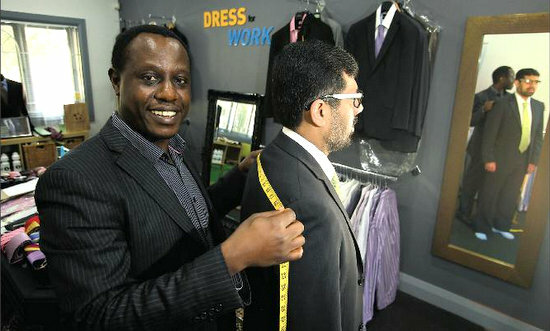 Dress for Work is a project run by Metro Assist designed to give men from marginalised and disadvantaged backgrounds business suits in order to attend job interviews and other important appointments. In collaboration with EJD Consulting & Associates, SSI hosted an NSP Evaluation and Reporting Workshop at SSI Bankstown on September 7. The workshop, which focused on client outcomes, was held to encourage and support NSP partners to contribute to the NSP evaluation framework. Twelve young women graduated from Mount Druitt Ethnic Communities Agency’s (MECA) Girl SKILS program in September. Their successful completion of the program — Smarts, Know-How, Intelligence, Leadership and Strength — was the culmination of nine weeks of effort and dedication towards gaining lifelong interpersonal skills. 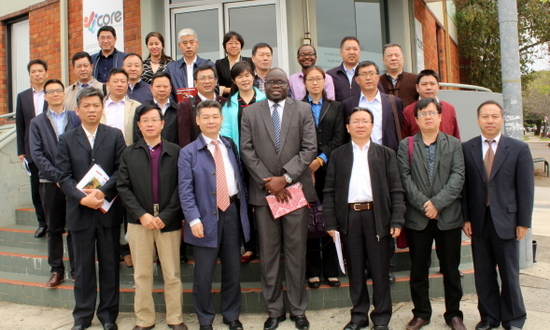 CORE Community Services at Cabramatta on September 21 received a delegation from the People’s Republic of China, headed by Mr Huang Donghui, Deputy Inspector, Research Office, State Ethnic Affairs Commission. He was accompanied by 23 senior officials from the Ethnic Affairs Commission across China.